I’ve done several bestie challenges and I’ve not until today participated in the 3d challenge. And today I remember why. It’s cute but I despise cutting. Love the coloring and the assembly was fun but the cutting took forever and harshed my joy. There’s a reason I have 8 die cut machines and its my deep loathing for scissors. I know some folks that enjoy scissor work, who claim to find it relaxing. Not me. So I hope you enjoy this entry because its likely to be a long time before I succumb to the urge again. My favorite 2 parts of the card: The worms (which were okay to cut) and my second fish. It’s 2 sided. I flipped the image so when the fish turns its still complete. 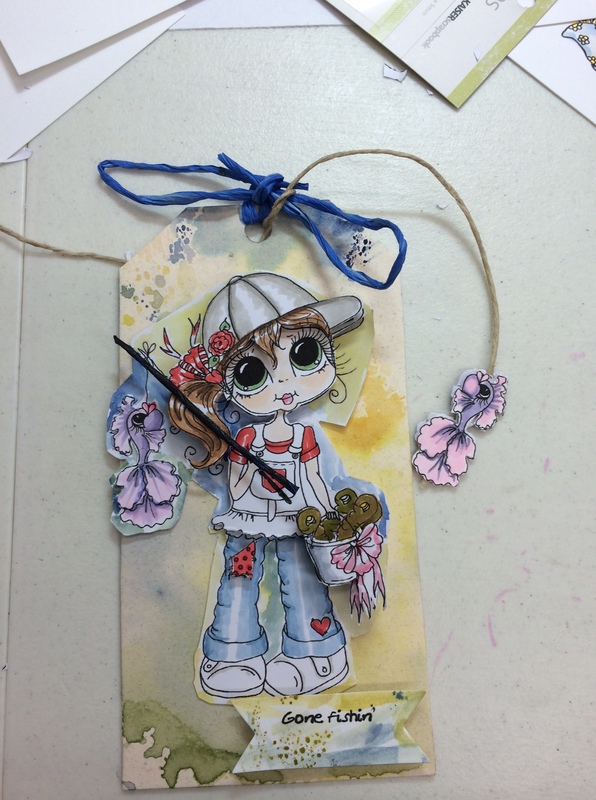 This entry was posted in cards, markers on July 19, 2014 by twyladavis. This is a lovely tag you have made! Just love your design. I wish you the best of luck!